Showtime Baseball went down to Georgia and put on quite a show. 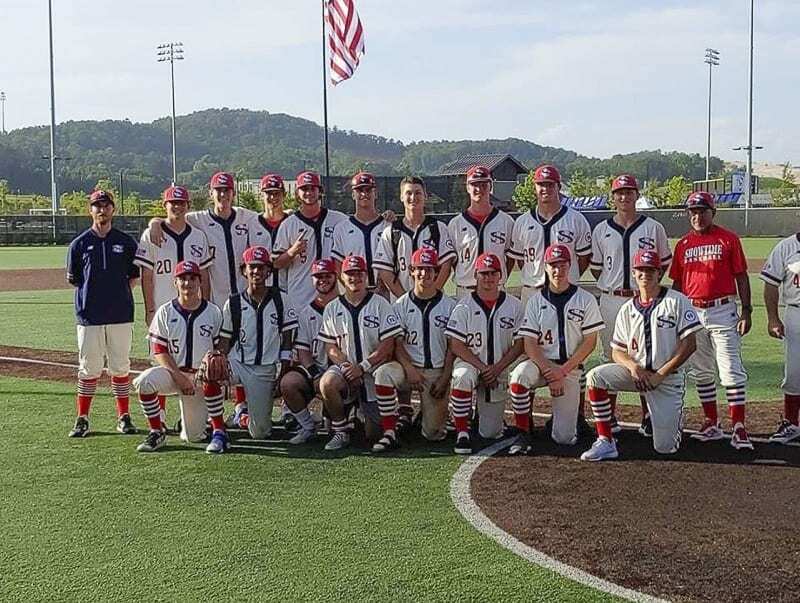 The club team based in Clark County finished 4-2-1 in the prestigious Perfect Game World Wood Bat Association 18-under national championship in Cartersville, GA, near Atlanta. Showtime just missed making it to bracket play, but still showed enough promise that Perfect Game highlighted the club with a featured article on its website. “It was really awesome, kind of an honor. I was very humbled,” said Tyler Russell of Battle Ground, who had his picture posted on the site after he struck out seven in five innings of work, allowing one earned run in a win over the Louisiana Knights earlier this week. It was not just Russell who got the spotlight. Showtime was the lone team from Washington at this event. Players and coaches agreed it was a who’s who of baseball talent from all over the country. Russell, who plans on playing for Edmonds Community College, agreed. “The boys held their own on an incredible stage,” he said. Jeremy Hertner was the head coach of Showtime this week. It was not all just playing baseball. The teammates got to enjoy the trip, as well. Most of the team also attended a Gwinnett Stripers minor league game. Spencer Andersen of Ridgefield; Liam Kerr of Skyview; Josiah Nickel of Prairie; Nick Nygard of Columbia River; Isaiah Parker of Seton Catholic/Mountain View; Tyler Russell of Battle Ground; Tommy Snyder of Evergreen; Carter Sutton of Union; Xavier Ulrich of Battle Ground; and Jaxon Woodhouse of Union.